Devices from smart home maker Ring have never been beautiful compared to those from competitors like Nest. Nevertheless, they’ve always been user friendly with minimal physical installation and hassle-free set-up. At CES 2018 on Monday, Ring announced it’s expanding its lineup with new products, improvements to older ones, and a 24/7 monitoring service. 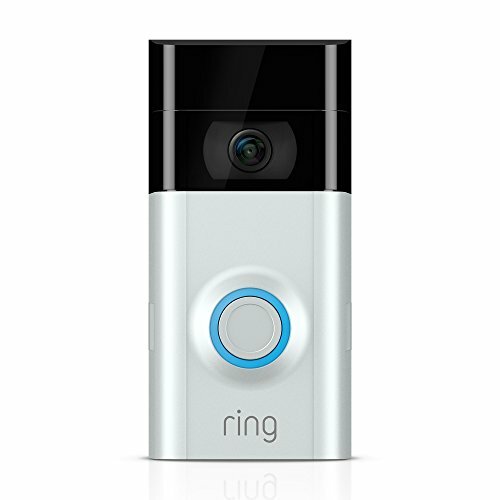 Ring announced two never versions of its Stick Up Cam. The first is the Stick Up Cam Elite. The Elite is an indoor/outdoor camera, while the original stuck to the outdoors alone. It also upgrades the video capture from 720p to 1080p. The Stick Up Cam Elite has two-way audio just like the original, and adds “advanced motion sensors with zone detection.” The camera can draw power from either a standard wall outlet or via Power over Ethernet (PoE). The new version of the Stick Up Cam has many of the same features as the Elite model, and it looks very similar. The three biggest differences are that instead of the “advanced motion sensors” this version offers passive infrared ones. 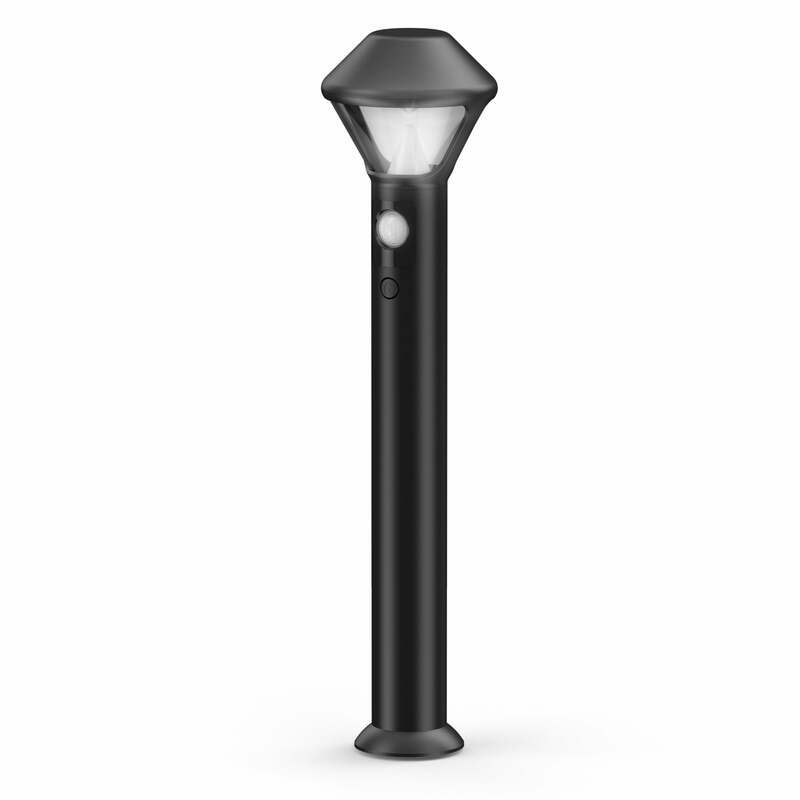 The regular Stick Up Cam is also compatible with the Solar Panel Charger first released for Ring’s Video Doorbell, and runs off battery power like the original. Pricing and a release date for the Stick Up Cam devices were not announced. A Ring Beams pathway light. As a result of the recent acquisition of LED lighting company Mr. Beams, Ring is rolling out some new lighting products under its brand. 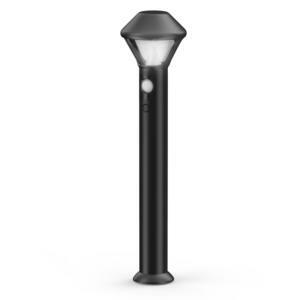 This includes pathway and step lights, as well as a new spotlight and nightlight. The new lights will integrate with the Ring app, as well as integrate with Ring security cameras and doorbells. Ring didn’t detail any special features about these lights, but Mr. Beams lights typically activate when you approach them. There’s no pricing or release date yet for the lighting lineup. 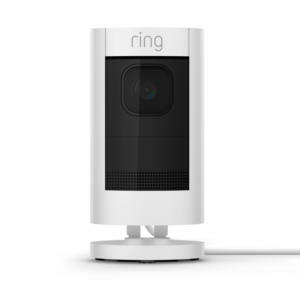 Back in October Ring announced the Ring Protect Security Kit home alarm system, but that announcement was quickly smothered after a lawsuit from ADT, and the latter won an injunction in November that prevented Ring from selling its system. Ring then refunded pre-sale purchases for Ring Protect. 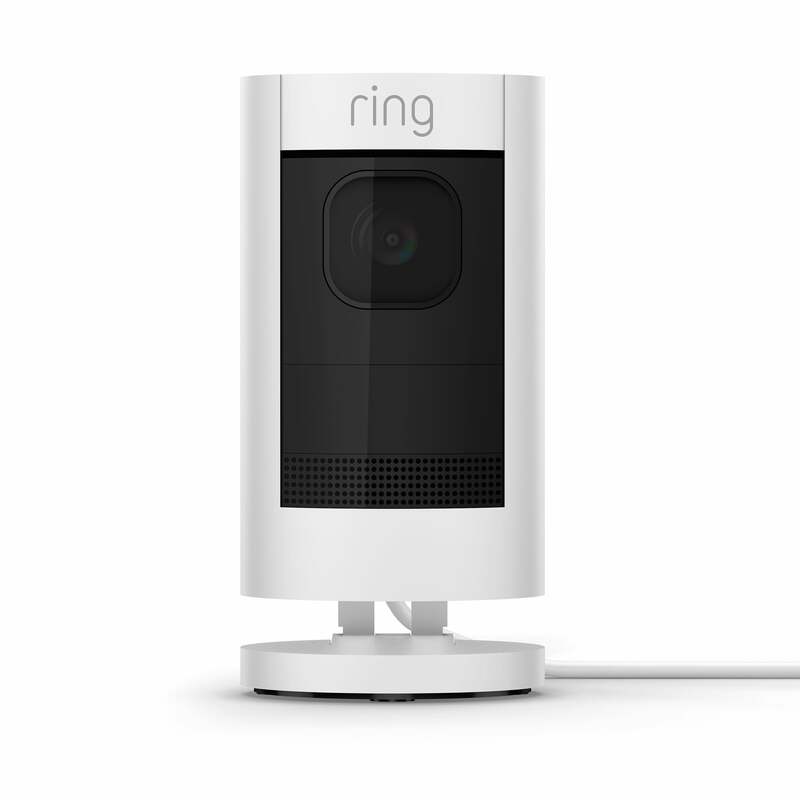 Now Ring is back with the Ring Alarm system, which the company says will start shipping in the spring. The package includes a base station, keypad, contact sensor, passive infrared sensor, and Z-Wave extender for $200. Finally, Ring is also rolling out a 24/7 monitoring service for those who need or want it. A monitoring subscription includes unlimited cloud storage for video captures at any location. You also get free use of the Ring mobile app, which usually requires an extra price to access recorded video—live video access is always free. The monitoring service plan also gives you a 10 percent discount on device purchases via Ring.com.